Deepanjan Nag's Magnum Opus: Hotmail Replacement? It may be high time I bid adieu to my beloved Hotmail accounts. Microsoft is planning a contienental shift with its web-embracing Live initiative. 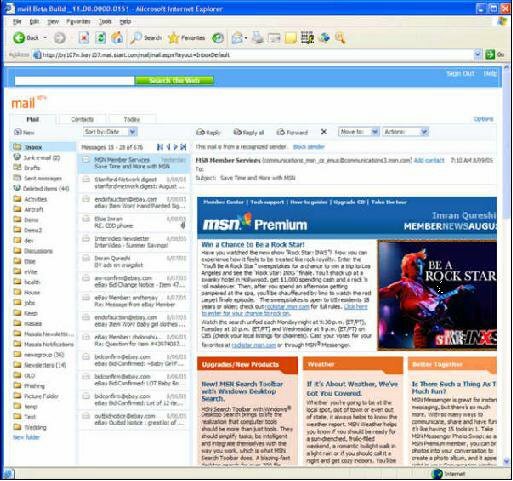 I guess Kahuna will eventually replace Hotmail...or become the next major Hotmail upgrade. To know more about Kahuna, click on the title of this post. Hurry, the link could be dead soon!